Purpose: The objective of this research is to explore the empirical green supply chain activities found in literature, and to develop a taxonomic framework that can be used for formulating appropriate strategies for green supply chains, based on characteristic dimensions for the green supply chain. Design/methodology/approach: The taxonomic framework is developed through (i) analysis of green supply chain activities found in existing empirical work or case studies recorded in literature, (ii) identification of key dimensions that influence green supply chain management strategies, and (iii) development of a taxonomic scheme for selecting or developing green strategies. Findings: The paper finds that this study yielded: a set of three characteristic dimensions that influence strategic green supply chain management, and a guided structured approach selecting appropriate green strategies, providing managerial insights. Research limitations/implications: This paper shows that future work includes development of specific performance management indices according to the taxonomy of green strategies developed in this study. 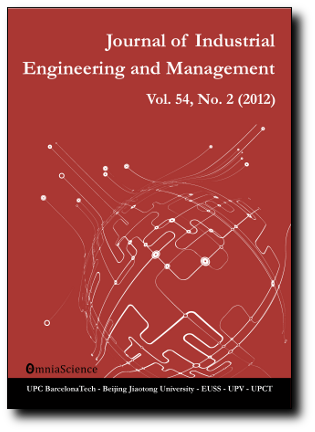 Practical implications: This research provided a practical guided approach that enhances appropriate formulation of green strategies for green supply chain management, while providing sound managerial insights for the supply chain decision maker. The choice of supply chain strategy directly impacts the overall environmental, economic and operations performance of the supply chain. Originality/value: This study presents to supply chain decision makers a new taxonomic framework that simplifies and enhances the formulation of green strategies, and to researchers a comparative understanding of various strategies applicable to green supply chains.